The Global Health Workforce Network Youth Hub is now open for membership! The Youth Hub is an intersectoral, inter-professional community of practice hosted by the Global Health Workforce Network and the Health Workforce Department at the World Health Organization. The hub is concerned with youth employment in health and social care and aims to promote youth-inclusive policy in these topics. Through key pillars of research, capacity building, and aligning the advocacy efforts, the Youth Hub will drive the human resources forhealth agenda on national, regional and global levels. seeking individuals, as well as organisations representing youth in the health workforce, to join as members of the Hub, supporting its work and contributing to key deliverables. For more information on the work of the Youth Hub, please refer to the Terms of Reference (link here). 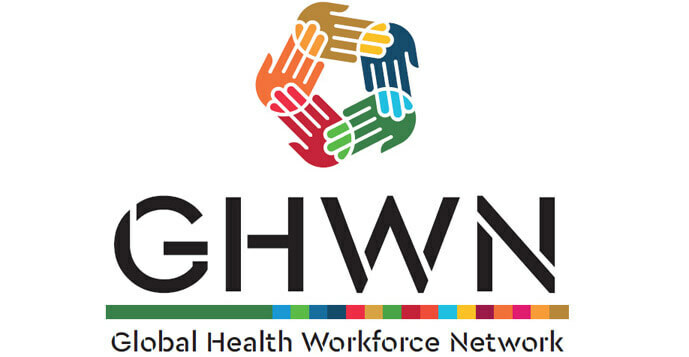 For more information on the Global Health Workforce Network, please see their website here. What will the Youth Hub be working on? 3. Research – stimulating a research agenda on youth in health and social care. Who can join the Youth Hub? Any person with an interest in youth issues in the health workforce is welcome to join the Hub! There are no strict inclusion criteria, everyone is welcome to contribute to the Hub. What will I do as a member of the Youth Hub? By signing up to be a member of the Youth Hub, you will be part of an email list that will be kept up to date on the work of the Hub. If the Youth Hub Steering Committee would like any consultation or input on any of its work, then this will be emailed out to the members of the Youth Hub. Additionally, any further opportunities to be part of a Working Group of the Hub will be advertised through this list. You can expect an email from the Youth Hub around every month. How do I sign up to be a part of the Youth Hub? To become a member of the Hub, all you have to do is fill in this Google Form. Once you have filled the form, you will start receiving email news updates from the Hub. applications are open for two of the Working Groups: Advocacy Toolkit Development Working Group and Convening Spaces Working Group. Both of these steps must be completed by Sunday 28th April 23:59 GMT to be considered for a Working Group. If you have any questions about the Youth Hub, please do not hesitate to contact the Steering Committee at [email protected].